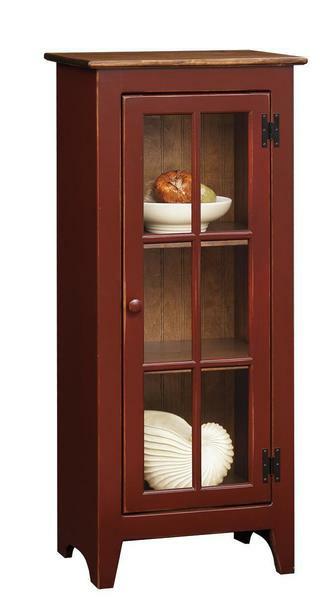 This handcrafted Amish Pine Display Case is a wonderful way to store some of your beautiful items. There are three shelves to display your items along with a glass door so that your guest can have a peak. You are able to customize your furniture by picking the stain or paint along with the finish. If you are looking to match an existing item you already have in your home please contact one of our Amish Specialists at 866-272-6773 to help you through the process. Also if you have any questions or comments our specialists can help you with those too.